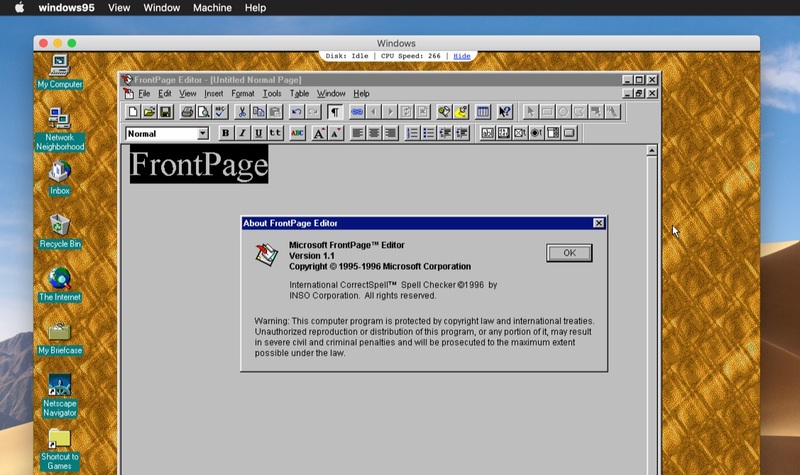 クロスプラットフォームに対応しElectron内で動く「Windows 95」エミュレーターがサウンドをサポートし、FrontPageやDoomを同梱。 | AAPL Ch. This is a big update – windows95 now has support for sound, comes with a few games, some apps, and almost 500mb of free space in the virtual disk for you to fill with whatever you want.  Installed Doom, Wolfenstein3D, A10 Tank Killer, and Grand Prix Circuit. >This project is provided for educational purposes only. It is not affiliated with and has not been approved by Microsoft.